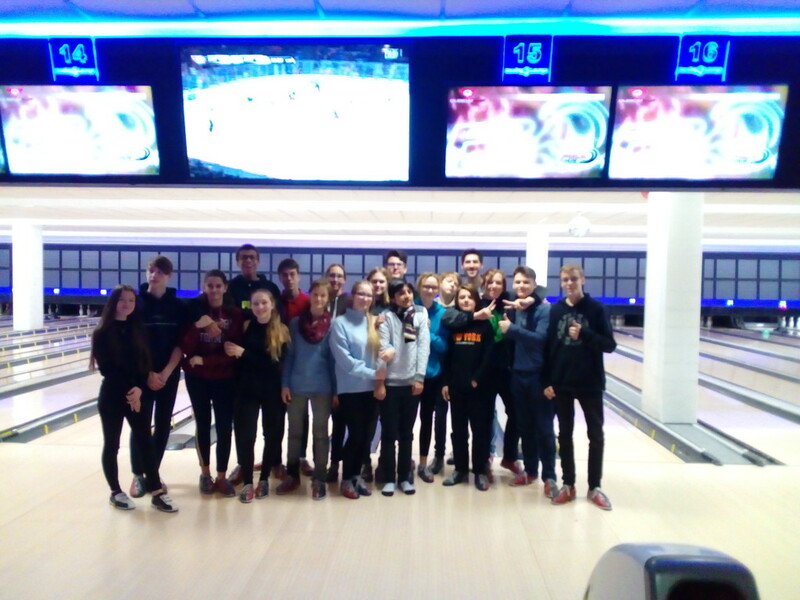 On a rainy Thursday in January, Mr. McPhee’s ninth-grade English class went to the Berolina Bowling Lounge. That was our reward for great paticipation during the English lessons. We had a lot of fun there because we cheered when some of us bowled strikes. Also, everyone got a soft drink and a piece of pizza. For me that was the best English lesson ever!